This is where your dreams begin with the classic retro styling of this rounded diamond tufted headboard and clean lined frame for a subtle modern touch. 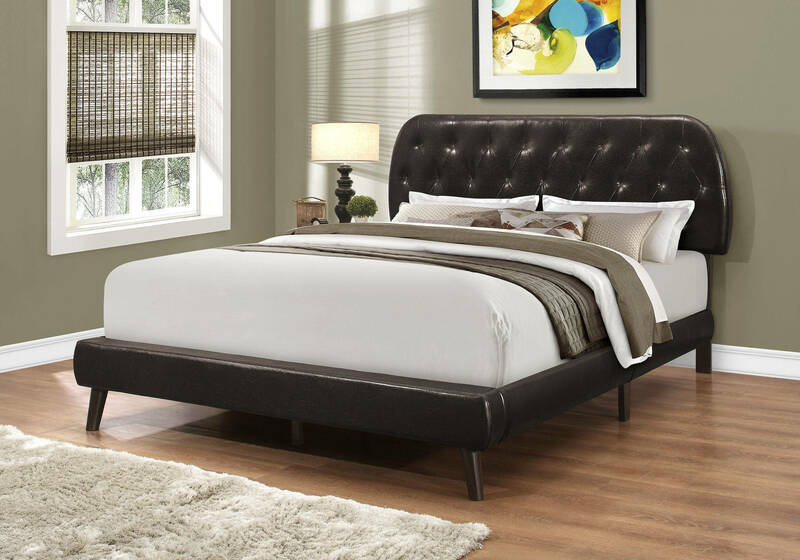 The padded and upholstered queen sized low platform bed in a timeless dark brown leather-look fabric, is supported with sturdy brown wooden legs that are angled at the front to effortlessly partner with your style statement. The box spring and mattress is not included and must be purchased separately. We recommend a 2 inch low profile box spring. All parts and assembly instructions are included.